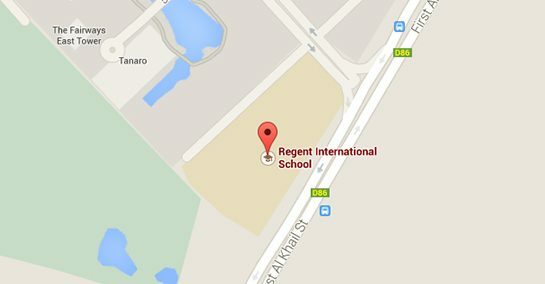 Regent International School is situated in The Greens. The school is located off the 5th interchange on the Sheikh Zayed Road and is also adjacent to the world-famous Emirates Golf Club. (The Greens is next to the Springs, Meadows, Hattan, Views, Lakes, Hills). Regent international school Roof deck pool is a 6 lane 25 meter pool. The pool is temperature controlled and is outdoor swimming pool which is suitable for teaching all levels and Mini and Development Swim Squads.